Provide comfort for the family of Harley Barcroft with a meaningful gesture of sympathy. Mr. Harley Barcroft, age 63, of Nashville passed away Sunday, December 30th, 2018 at Metro Health, in Grand Rapids, MI. Harley was born in Hastings Michigan on February 19, 1955, the son of the late David and Marlene (Schaeffer) Barcroft. He was raised in the Nashville area and attended Maple Valley Schools and graduating from Hastings High School in 1987. He continued his education at Lansing Community College where he studied machinery repair and maintenance. Shortly after graduating High School, Harley began working for ETM Enterprises in Grand Ledge where he was responsible for maintaining all of the machines the company uses to make reinforced fiberglass parts. Harley was a hard worker and has been with the company for over 40 years. He was the husband of Judy (Morehouse) Barcroft. The couple was married on Dec 31, 1975 in Hastings, MI. and made their home together in Castleton Township. 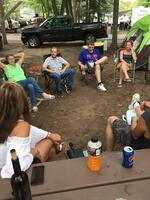 Along with his wife and family, the couple enjoyed camping in Northern Michigan and South Haven. 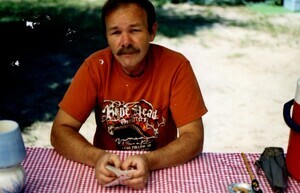 Whenever possible Harley enjoyed being outdoors hunting, fishing and working in his garage. 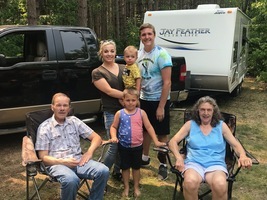 Harley is survived by his beloved wife Judy, his daughter, Jennifer (Rob Goris) Ackett, three step sons Ken Whitinger, Wes Whitinger, George (Angela) Whitinger, his sister, Tina (Ken) McManemey, two brothers, Dwayne Barcroft, Paul (Joy) Barcroft, 5 grandchildren Savanah, Hunter, Tyler, Kelsey, & Konner, 4 great grandchildren Michael,Ty, Damien & Kailee. Funeral Services will be held at The Daniels Funeral Home, Nashville, MI, at 1:00 PM on Saturday, January 5th, 2019 with Pastor Roy Atherton officiating. The family will receive visitors 2 hours prior to the funeral service beginning at 11:00 AM on Saturday January 5th, 2019. Immediately following the funeral service there will be a time of fellowship and refreshments at the funeral home. Interment will take place at Hosmer Cemetery in Castleton Township. There will be a time of fellowship immediately following the funeral service at the funeral home. We encourage you to share your most beloved memories of Harley here, so that the family and other loved ones can always see it. You can upload cherished photographs, or share your favorite stories, and can even comment on those shared by others. Dave & Sandee Morren, alvin,carl zadoc,lucas taylor judy, and others have sent flowers to the family of Harley Barcroft. I worked in the HR dept. at ETM back in the 90's and remember Harley (Skip) very well. He was always dependable and an extremely hard worker, but even more so just an overall great/kind person! I'm certain his presence will be greatly missed. May the cherished memories help heal the heavy hearts felt by this loss. My deepest sympathies to all the family. My brothers and sisters grew up with Skip and his brothers and sister. We were like family. When we were little, we played in the creek together in the summer. Went sliding together in the winter. When Skip started driving, if you seen a blur go by, that was Skip. That boy wrecked more of his mom's cars than I could count on both hands. When you grow older, you tend to lose touch with childhood friends. It had been many years since I seen Skip, but I'll always have great memories of him. He was funny and he made me laugh. Always. Rest easy Skip, I'll see you on the other side. Goodbye brother... It was an absolute gift to be able to call you a friend. On behave of myself and the ETM molding crew I would like to send our deepest condolences to Harley Family thoughts and prayers sent. I just wanna say Harley was a great man i worked with him for 14 years he will be missed dearly.